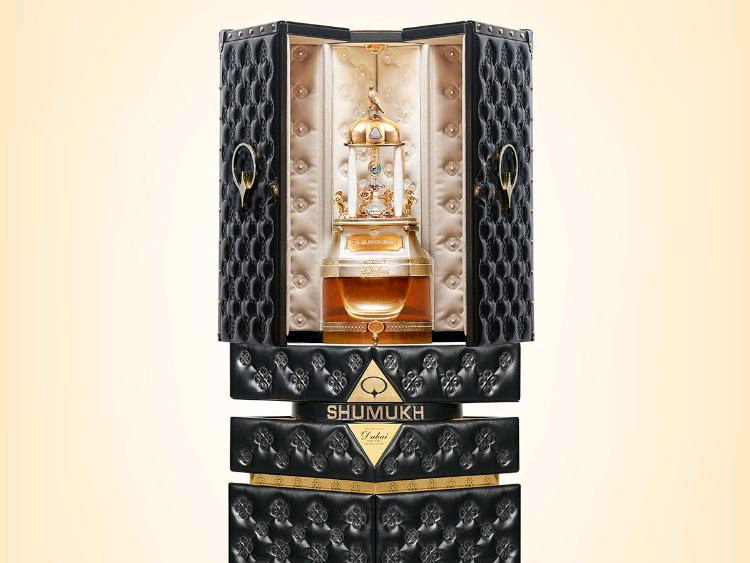 A perfumer in the UAE has just developed a new fragrance in a bottle, and it comes with an eye-watering price tag. 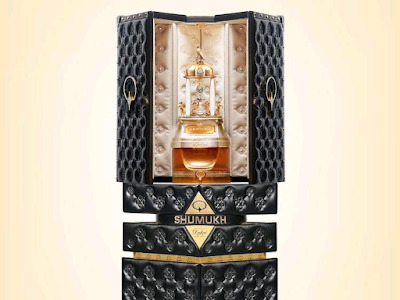 Valued at Dh4.752 million (roughly worth over N400million), the new product is called Shumukh that took over three years to be formulated and 494 perfume trials. And it’s contained in a bottle that can’t simply be tucked away in a purse. It is set with over 3,500 sparkling diamonds, totaling 38.55 carats, as well as topaz, pearls, 18-karat gold weighing more than two kilos and more than five kilos of pure silver. The luxurious bottle stands 1.97 metres tall. The fragrance itself was formulated using the “finest” natural ingredients and its creators say that the scent could last on the skin for more than 12 hours and up to 30 days on fabric. With its hefty price tag, Dubai could very well break another world record. 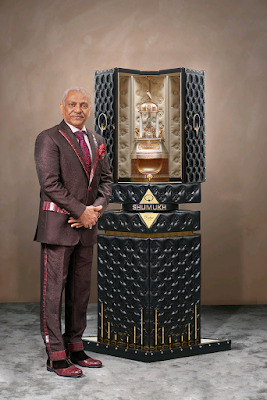 According to Guinness World Records, the most expensive perfume, valued at $205,000 (Dh752,000) per 500 ml bottle, is the Clive Christian No. 1 Collection, launched in November 2005. 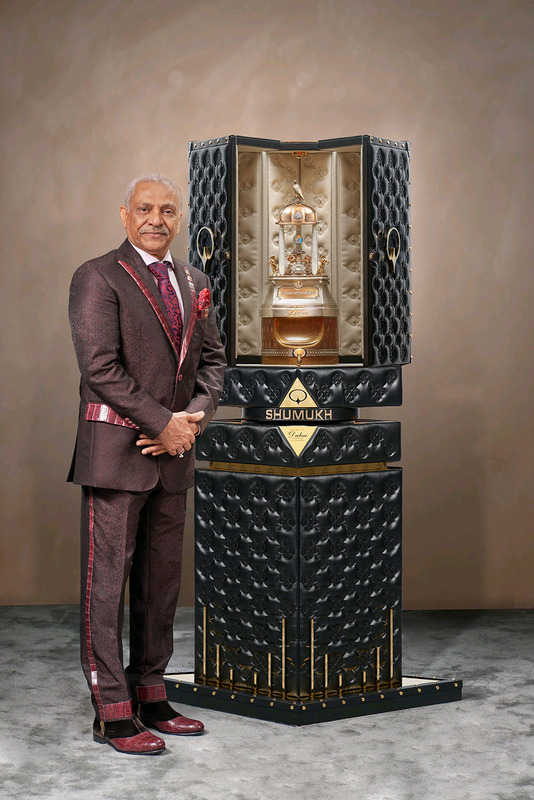 “My vision was not only to capture Dubai’s persona in one monumental piece of art, but to also create a fragrance that embodied the pinnacle of luxury in the world of perfumery,” said Ali. 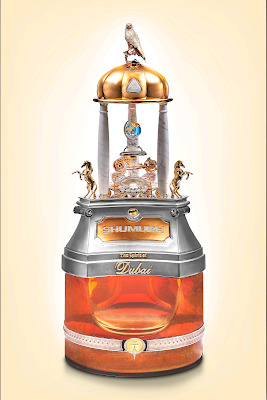 The perfume will be on public display in Dubai Mall’s Fashion Avenue from March 14 to March 30, 2019.